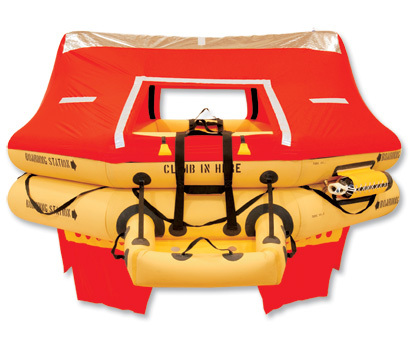 LIFE RAFT STORE offers Aviation and Marine life raft rentals for any occasion. Please start by filling out the agreement for a life raft, life vests, or Personal Locator Beacon. Other items for rent can be found under the category. We rent on a daily, weekly or monthly basis. All items are shipped to your location from our Florida office, located in Melbourne, Florida. We offer a hassle-free experience in rentals and do not charge the freight time between locations. All you pay for is the "Time in Possession" and the shipping cost. AOG rentals are available, so please call us. ONCE YOU HAVE COMPLETED THE FORM, PLEASE SEND BACK TO US VIA EMAIL OR FAX. Please include a copy of your Drivers License or Pilot License. LIFE RAFT STORE - Rentals. We rent life rafts by Winslow, EAM, and Switlik for Aviation and Marine use. We carry both recreational and Professional Rafts from the Cessna 172 going to the Bahamas to the Citation Jet going to Europe, we are the only company with both TSO'd and Recreational Rafts. We also carry Switlik Marine rafts. We offer both the CPR and the OPR versions of the new Switlik Life Rafts. Dailey, weekly and monthly rentals available on short notice or with reservations (Recommended) We can deliver over nite to your location within the USA or take advantage of our unique rental program. Other companies charge you the day the raft leaves their store, not us. We only charge the possession time you actually have the raft in your hands. How do we do this, We carry over 60 rafts at any given time allowing us to ship to your location using Fed Ex ground based on your reservation needs. We package the raft in a Pelican Hard Case, ship to you via Fed Ex Ground and once at your location, simply remove the raft, place in the aircraft and go on your flight with the peace of mind and savings of renting a high-quality aviation raft. We carry both TSO'd for air crafts over 12,500 lbs and the recreational Part 91 raft. All our rafts are certified by the factory, dated to current specifications and service and come to you as a Valise Covered Raft. Need a Marine version raft, No sweat, we carry Switlik rafts for the mariner. Switlik Survival makes a lightweight nylon raft that is easy to handle and if need be, easy to deploy. Switlik rafts come in a Valise case and since the raft is vacuum packed, the size is smaller than most other rafts found in the market. Light enough to ship across the USA and small enough to fit almost anywhere in your boat. 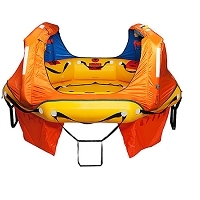 We also sell rafts for the general public but we offer a unique service as well. Life rafts generally take about 7 to ten days to purchase. Why? Because if you buy a raft off the shelf, chances are that the date of service is not three years but less. When you buy a raft you want the full three years or five years depending on the raft. At Life Raft store, we will loan you one of our rentals with a purchase up to seven days for free. All you pay is the shipping back and forth. You can do your unexpected trip with our raft and when you return, your new raft should be ready to be delivered. The Life Raft store has been renting rafts for over ten years now and no one beats our prices and our service. Simply fill out the simple rental form, call us for verification of your needs, and wait for the raft to arrive. It is that simple. We are located in Florida, so for those of you going to the Bahamas or farther south, we can also ship to an FBO of your choice and you can pick up the raft on your outbound leg. Located in Melbourne Florida, KMLB, we also can drop your raft off at one of three FBO's here on the field. Call or email the Life Raft Store and see how easy it is to rent a raft for your trip in the Skies or across the ocean.